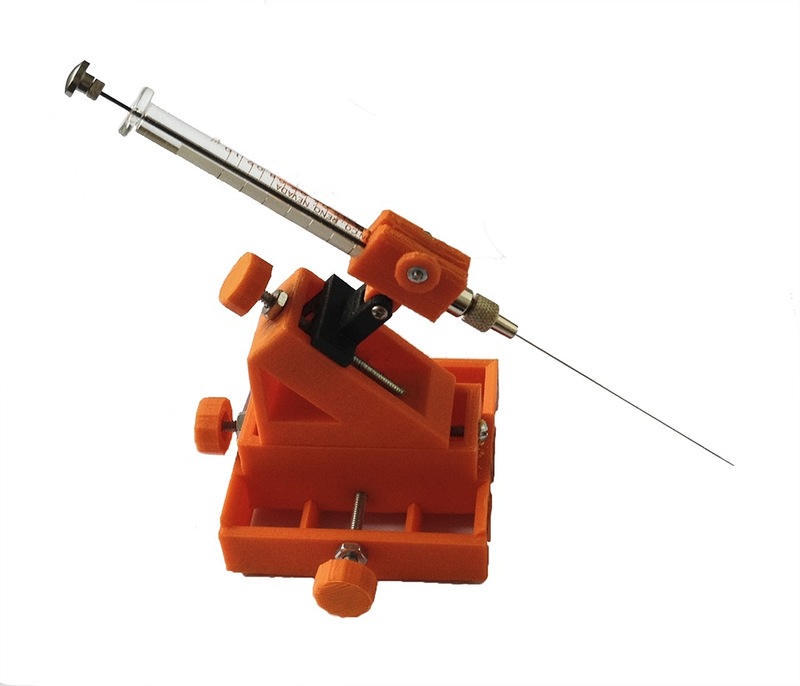 Our 3D printed Manipulator allows you to precisely place your electrodes or probes on tiny things like cockroach leg hairs, a worm nerve fiber, or a fly muscle. Your hands only have so much control and microvibrate to boot. For very fine work, you need our Manipulator. Each ships fully assembled and features 4 degrees of freedom: up/down, left/right, forward/backward, and electrode angle of attack. 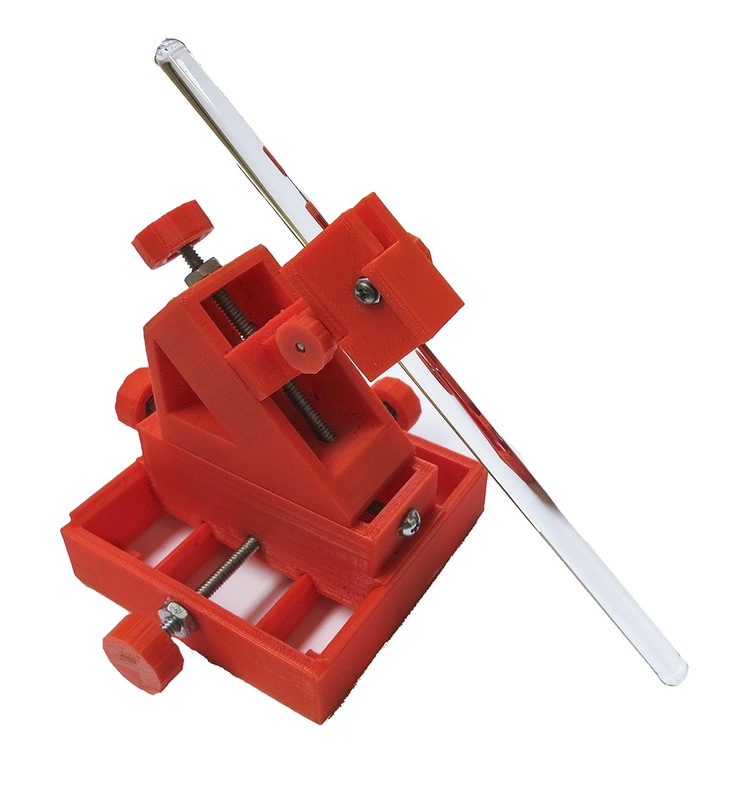 We also attach four rare earth magnets on the bottom of the manipulator so that you can firmly attach it to any metal work surface. When you place your order, we then print the pieces on our own in-house MakerBot 3D printer, assemble the pieces, and then ship it to you. 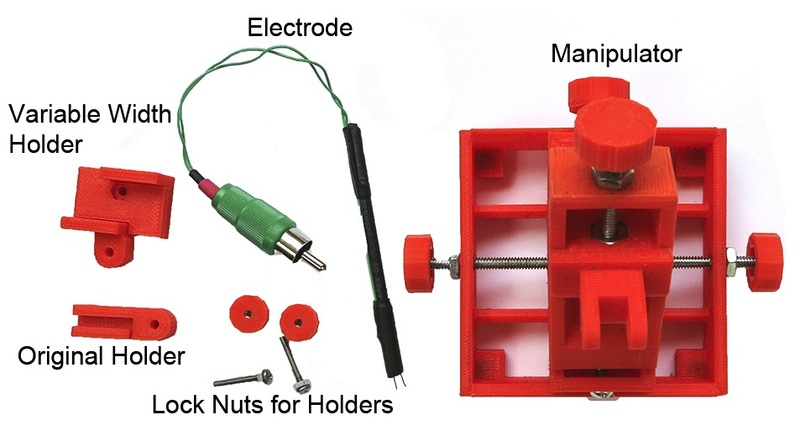 If you have your own 3D printer we offer the open-source schematic so that you can make it yourself. 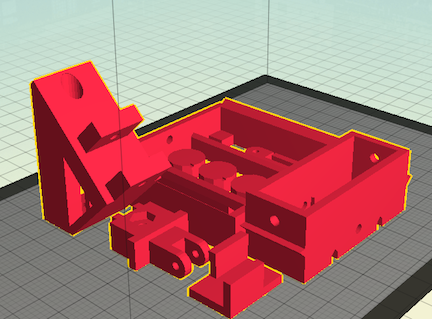 With a MakerBot Replicator, you can load the .x3g file directly on your machine and push print! Revision 2 update: We 1) added a stronger clamping mechanism on the electrode holder, 2) now ship with two different holder types (our original and adjustable width version), 3) added a small notch on the knobs so you can count turns easily, and 4) added knobs to both sides of x-axis for Completo compatibility. Note: In the pictures to the left, you will see we also have an adaptor for a Hamilton syringe. 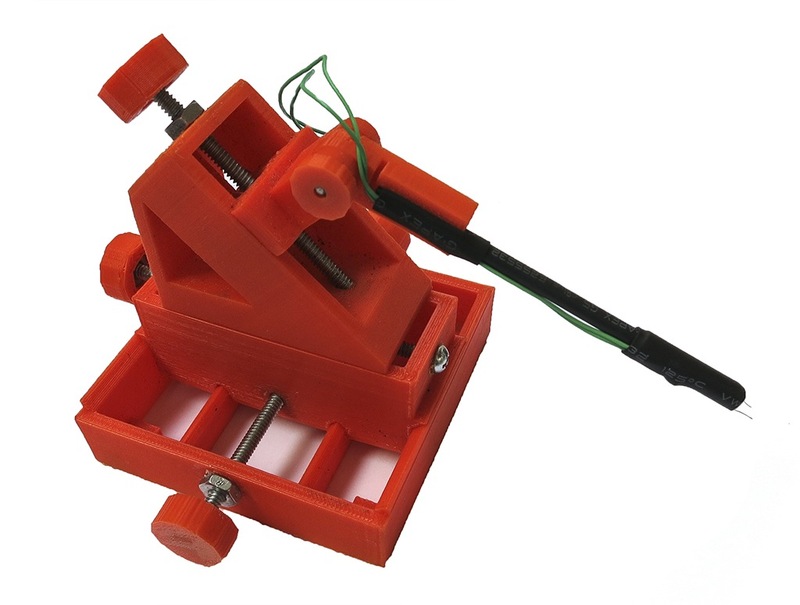 Let us know if you want us to add this adaptor to your manipulator, and also if you have any custom adaptor design requests. We'll try to accommodate you!